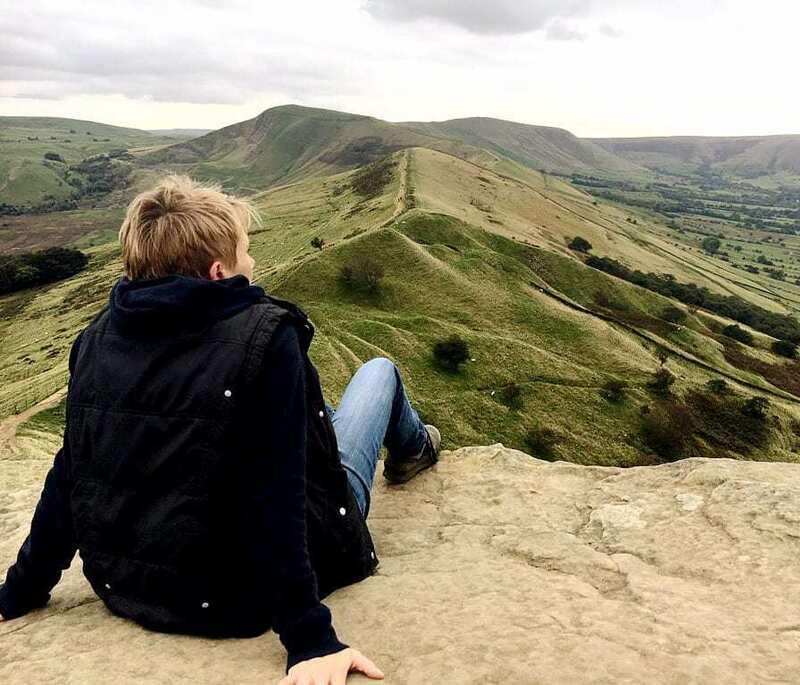 This lovely circular walk begins and ends at Fairholmes Visitor Centre, run by the Peak District National Park. 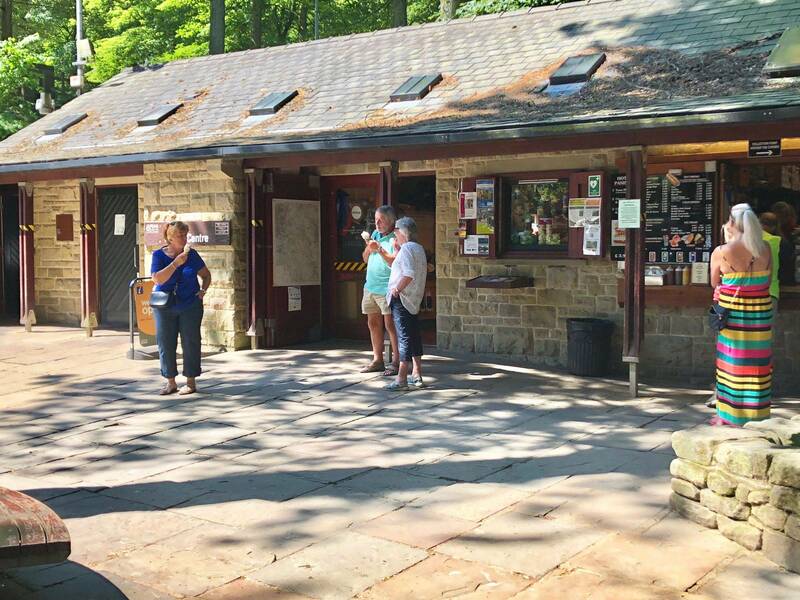 There is a cycle hire station here with a wide variety of bikes for the whole family to hire, as well as a small shop, takeaway café and toilets. 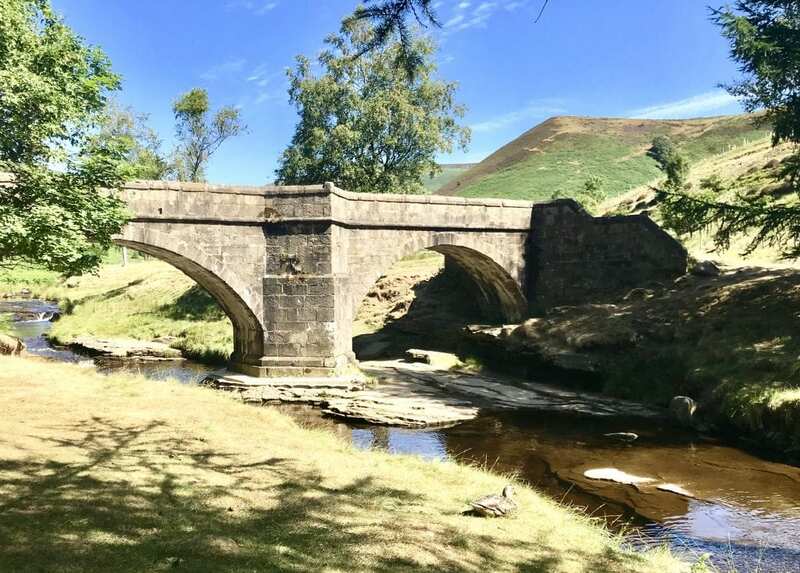 The route completes a circuit of both Derwent and Howden Reservoirs, with a beautiful old packhorse bridge over a stream as a great halfway point. There is stunning countryside along the way, and for the most part the route uses well-made paths and lanes. 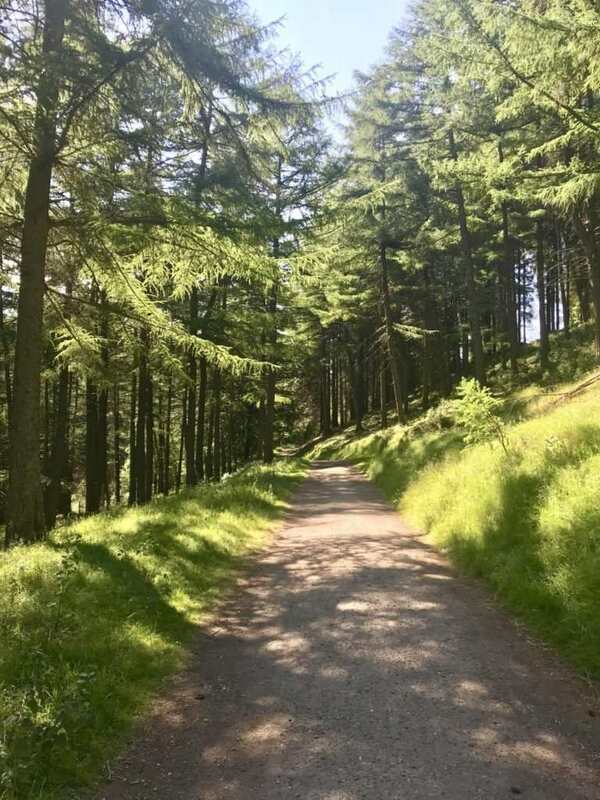 It is relatively flat and gentle with only a short section of uneven ground, and should be accessible for most walkers, cyclists, those in all-terrain wheelchairs or those pushing prams. 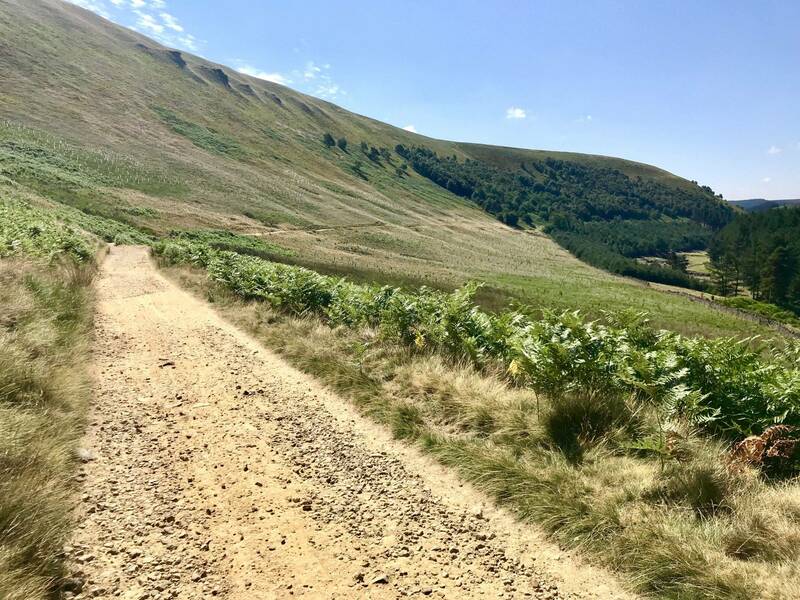 From Fairholmes Visitor Centre, turn right and walk or ride out on to the road that leads to the Dams (SK 17169). This road is closed to traffic entirely at weekends and is usually very quiet during the week. You will quickly pass the magnificent Derwent Dam. The construction of the dam and reservoir began in 1902 and took more than 1,000 workers over 14 years to complete. As you continue along the road, you will pass the remains of the town constructed for the workforce, known as Birchinlee or ‘Tin Town’. Take time to read the notice boards giving information about the building of the dams. As you continue along the road, you will soon see Howden Dam to your right. 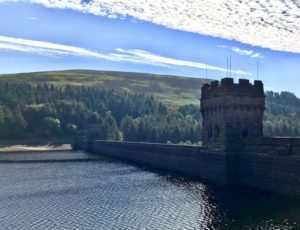 This marks the division between Derwent Reservoir and Howden Reservoir. This dam was completed slightly earlier, in 1912. After about 8km, you will reach the end of the road and pass through a gate on to a track, heading slightly uphill through woodland. The reservoir ends at this point, and peters out to the River Derwent on your right. The high slopes of Ox Hey rise up to your left. At the 9km point the path forks. Head for the smaller gate to your right, which leads down to the beautiful packhorse bridge over the River Derwent, as it tumbles over rocks and creates small waterfalls. The bridge originally spanned the river by the main gates of Derwent Hall, and was rebuilt stone by stone when the Hall was demolished in the creation of Ladybower Reservoir during the Second World War. To learn more about the construction of the dams and the drowning of the villages of Derwent and Ashopton, click here. Cross over the bridge and turn right, following the well marked Cycle Route, signposted to Derwent Valley. The path is easy to follow as it snakes through the hills. You soon track alongside Howden Reservoir again, this time on the other side, with trees lining your path. Watch out for Howden Dam once more, and continue following the path as it leads beside Derwent Reservoir. The path eventually reaches a junction with a quiet road, just before which you will see a sign for Fairholmes Visitor Centre. Turn right on the road and follow this downhill towards the mighty Derwent Dam, which towers in front of you. Follow the road as it bears left in front of the dam, and returns to Fairholmes Visitor Centre directly ahead.